Have you ever considered Windsor for a team building event or day out? Here are 10 reasons why we think you should. 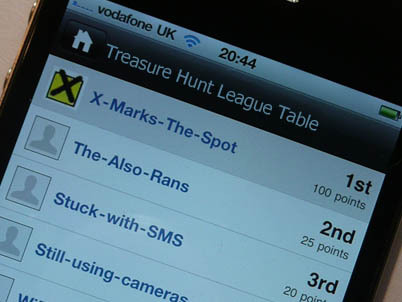 Sales of X Marks The Spot's popular smartphone treasure hunts have outstripped all others so far this year and the trend is set to continue. Is your team being denied a team building event because your company say they can't afford it? Don't worry, there IS a way to get that morale-boosting team building activity and it mightn't even cost your employer a penny. Set in 12 acres in the beautiful Chiltern countryside near Henley-on-Thames, St Katherine’s of Parmoor is run by the Sue Ryder Fellowship, an independent registered charity whose aim is to provide a non-profit-making retreat that is ecumenical and non-denominational. How did X Marks The Spot provide support? 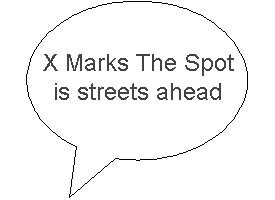 "The City Explorer treasure hunt from X Marks The Spot is streets ahead of the dull treasure trails we've tried recently from two other companies", say customers. X Marks The Spot has teamed up with Visit London, the official visitor organisation for the capital. What unique 'first' did the partnership create?